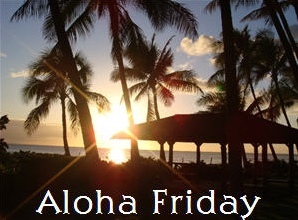 I'm linking up at Island Life for Aloha Friday. In Hawaii, Friday is a day to take it easy, so I have a simple question for you. Do you prefer chocolate, vanilla, or strawberry milkshakes? Can't wait to find out! And why don't you come over to Island Life and link up? It's fun! You know...it's been so long since I've had a shake that I cannot remember.